Bollywood upcoming films in 2019. It is said that the year 2018 was relatively good year with regards to the showbiz industries of Pakistan and India. In both the countries, several good film were released. It is expected that because of the newly seen awareness and progress in the last year, the year of 2019 will see more good work. Here are some films which are going to be released in the next few months of the current year. 25 January 3 films ‘Thakray’, ‘Mini Karnika: Queen of Jhansi’ and Chat India were to be released because of some reasons they have been rescheduled to a near date. February: Feb 1st: popular father-daughter pair Aneel Kapur and Sonam Kapur will show their talent in the film ‘aik larki ko dekha to aisa laga’.Actor Rajkumar Rao and Jusy Chawla too are performing in the film.Feb 8 actor Shant Singh, Rajput and Bhomi Pandikar’s film ‘Santuraya’ will be released.14 Feb: Actress Alia Bhat and Ranwair singh’s film ‘gali boy’.22 Feb: ‘Total Dhamal’, film of Aneel Kapur, Ajay Dheogan, Madhori Dakasht, Aisha Gupta, Ratesh Desh Mukh, Arshad Warsi, Javed Jafri will will be release. March:March 1: ‘Sandep and Pinki frar’ will be released. In this film Arjan Kapur and Prenaiti Chopra will show their actions. On this very day, 1st March, Kartak Aryan and Kerti Sonan’s film ‘laka chhupi’ will be presented.March 8: Film ‘Badla’ will be rekeased, This films cast includes Amitabh Bachan, Tapi Punun, Akashpuri and Ali Fazal. 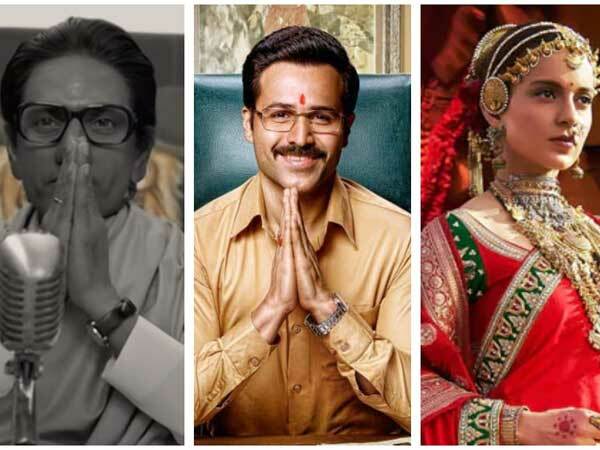 March 21: Actor Akshay Kumar and Preneti Chopra’s film ‘Kesri’ will be released.March 29: Actress Kangna Ranawat , Rajkumar Rao and Jimmi Shergul’s film ‘mental hay kia’ will be released. April 5: Actor Widyu Jamwal’s film Jangli.April 18:Film ‘kalunk’ is scheduled to be relesed. Its cast is Sanjay Dat, Madhori Dakasht, Waroon Dhon, Aditia Rai, Alia Bhat, Kapur and Sonakashi. May:10 May: Actor Tiger Sharoof, Anania Panday and Tarasotaria’s film ‘Student of the year 2’ will be released.17 May: Film ‘Jabria Jori’ will be released. Its actors are Sudharat Malhotra, Prneti Chopra and others. June:June 5: On the occasion of Eidul Fitr Bhai Salman Khan and Katrina kef’s most awaited film ‘Bharat’ will be released, This film cast will include Desha Patani and Suneel Grower. July: July 19; Karina Kapur Khan and Akshay Kumar film ‘Good News’ is scheduled. August:Augus15: Jaan Ibraham and Maronal Thakar film ‘Batla House’ is scheduled to be released.Same day Akshay kumar and Widyan Balan’s film ‘Mission Mangal’ will be released. Mehnaz Begum’s Death Anniversary being observed.